Charmed, Texas... quaint, quirky, and when it comes to romance, there's no place quite as enchanting. Lanie Barrett didn't mean to lie. Spinning a story of a joyous marriage to make a dying woman happy is forgivable, isn't it? 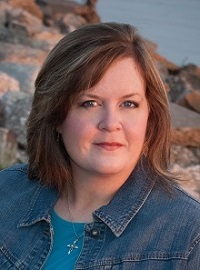 Lanie thinks so, especially since her beloved Aunt Ruby would have been heartbroken to know the truth of her niece's sadly loveless, short-of-sparkling existence. Trouble is, according to the will, Ruby didn't quite buy Lanie's tale. And to inherit the only house Lanie ever really considered a home, she'll have to bring her "husband" back to Charmed for three whole months--or watch Aunt Ruby's cozy nest go to her weasel cousin, who will sell it to a condo developer. The cake-eating contest was first, and I was playing for the bank. It was my favorite one of course. “Just because you can make a cake doesn’t mean you can eat it,” I said, rolling my head on my shoulders and popping my knuckles. The four-layer cake in front of me was daunting. I formed a strategy, one slice at a time. “Big words, Mrs. McKane,” he said. Calling me that sent goosebumps trickling down my spine. It wasn’t the first time. But something about sitting next to my husband in a goofy town festival cake-eating contest suddenly felt so domestic. So normal and real. The bell rang, and we were off. We each had knives, but those of us with experience skipped that time consuming task. Hands worked just fine, and going for big bites with minimum chewing was optimal. The winner was Berty Carson from the barber shop, an elderly man who obviously had been practicing judging by the girth around his waist. Still, I had three-fourths of my cake gone compared to Nick’s little over half. Nick grabbed my hand and stuck one of my fingers in his mouth, sucking the cake off with his tongue. Everything stopped for me for a moment, the world going on tilt, and he winked as he licked his lips. Oh, what a dirty, dirty boy. He didn’t play fair. I would so remember that. A cute story about a girl who weaves a complex lie to ease her aunt's mind about her being sad and lonely as she is dying. What she didn't plan on was her aunt being able to see through the lie and leaving instructions in her will that she must live with her "husband" for three months in order to receive the house she grew up in. In an effort to save face and to keep her greedy cousins from getting what should be hers, Lanie Barrett begs a complete stranger to play house with her for three months. Nick McKane agrees because his daughter has been accepted to a fancy art college and he wants to be able to send her there. It’s a little more complicated than that, but even with all the twists and turns, it’s a cute romance that worked for me. 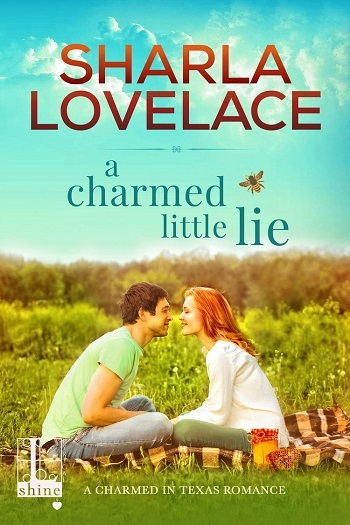 Follow the A Charmed Little Lie Blog Tour HERE. 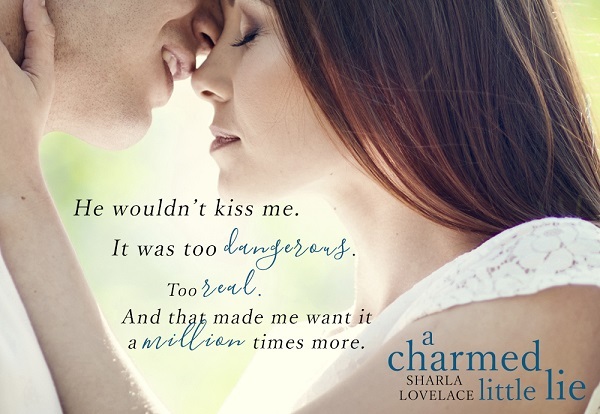 Reviewers on the Wicked Reads Review Team were provided a free copy of A Charmed Little Lie (Charmed in Texas #1) by Sharla Lovelace to read and review for this tour.